Shades of Milk and Honey is the debut novel of Mary Robinette Kowal, who had already made a name for herself before its release with her short fiction. By the time this novel came out, she had already won the Campbell Award for Best New Writer in 2008 and been nominated for a Hugo Award in 2009. The recognition of Kowal’s work has continued since then. Shades of Milk and Honey was nominated for the 2010 Nebula Award, and Kowal won the Hugo Award for her short story “For Want of a Nail” the following year. She will be writing more novels as there are 3 sequels to Shades of Milk and Honey planned: Glamour in Glass, coming out this April; Without a Summer; and Valour and Vanity. Shades of Milk and Honey is described on the cover jacket as “precisely the sort of tale we would expect from Jane Austen…if she had lived in a world with magic.” It is very much a story similar to Jane Austen’s books, although much shorter and lighter in characterization. It’s set in Regency England and has the same focus on suitors and marriage, etiquette, and social gatherings as Jane Austen’s novels. Where it differs is having art as a theme and a world in which glamour, a type of magic, exists and is often used for the creation of art. The story is about Jane Ellsworth, a 28-year-old woman who believes herself to have no marriage prospects due to her plain features. She can’t help but compare herself to her younger sister, Melody, who is very attractive. Yet Melody can’t help but feel she falls short in comparison to Jane, who may not be lovely to look at but is exceptionally talented when it comes to glamour and the arts. Melody may capture the eye, but it is Jane who often end up the center of attention at various social gatherings as she’s the only one who can come close to matching the skills of the artistic and mysterious Mr. Vincent. Furthermore, their neighbor Mr. Dunkirk is very appreciative of the arts, and both Melody and Jane have become rather attached to him. Mostly, it is the story of Jane and her relationships with her family and neighbors, her moral decisions, her views on art, and her development as an artist – and how she finds true love. Jane and Melody’s parents were also very like Elizabeth Bennet’s parents from Pride and Prejudice with the rather silly mother and the more reasonable father, and there many other nods to Austen throughout the story. Shades of Milk and Honey suffers from the baggage of the Austen comparison, though. It does not have the same depth of character, the same wit, the memorable heroes and heroines, or the same social commentary that Austen is known for. 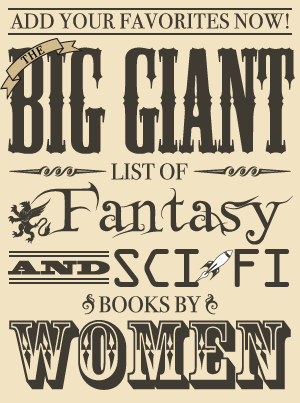 For some this may be a good thing–especially those who perhaps liked the idea of Austen’s stories but felt her books were too verbose or lengthy. For others, who love Austen’s novels with all their hearts, this may color their perception of the book a little, making it appear thin next to her monumental works. I really liked that Jane ended up with the less conventional man – not a handsome man or a smooth-talking one, but Mr. Vincent, the somewhat awkward artist who was horrible with words. In addition to that, I thought the development of their relationship was well done despite the fact that they don’t spend a whole lot of time conversing with each other in the book. In fact, there are more conversations that take place between Jane and Mr. Dunkirk, whom she admires until close to the end when it becomes clear he doesn’t trust her or truly respect her opinion. Much of what Jane learns about Mr. Vincent is from his journal. Also, I liked the fact that this was a relationship where both people learned and grew because of each other and shared a common interest in their art. While he was a bit upset about Jane being able to figure out how he did pieces of his art at first, Mr. Vincent was also able to discover new ways of creating his art by watching her way of replicating what he did. Jane’s quick thinking also saved his life, which lead to him giving her the journal and his artistic secrets – since she gave him his life and his art back. Likewise, Jane learns to improve her art from his journals and the feedback he gives her that while her art is technically very good, it lacks life. Jane learns to channel her emotion into her art and makes a piece better than she ever dreamed she could have. They both have given something to each other by the end and are both stronger for it. I also found the rather awkwardly stated marriage proposal rather charming and a nice change from the articulate, romantic ones. While there is magic in this book, it’s mostly important in the context of the exploration of art. Glamour is largely used for making illusions, whether they are for lighting in a room, making the hair in a painting move in the wind, or making a bunch of people disappear because they’re obscuring the view. It’s not well-explained, but I think art in general is more important to the story since it was Jane’s main interest and what accomplished women do. (I am still curious about why more women knew glamour than men and it if it is as Jane thought that men were perfectly capable of it but just lacked the training.) There are several conversations about art – how it enhances the home and makes it more comfortable, whether or not it’s possible to enjoy art if one stops to examine it, and the relationship between flaws and perfection. A love for the artistic permeates the book, and I rather liked this aspect of it. 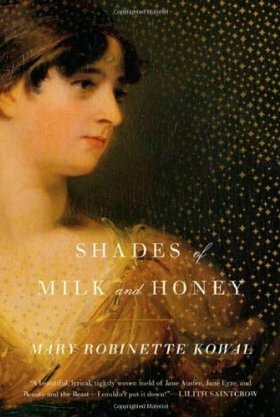 Comparing Shades of Milk and Honey to Jane Austen is unavoidable, and I do think that my reading experience suffered as a result because I was expecting Austen’s depth and cleverness. However, I still found Shades of Milk and Honey very compelling, especially the later parts which moved away from Austen’s template. I loved the ending and actually find myself very eager to read Glamour in Glass when it comes out in April. This is both because I truly enjoyed this book and because I am expecting the sequel to stand on its own a bit more – and how could I resist it after seeing Mary Robinette Kowal described it as “a little more swashbuckling than the first book” on her FAQs page?